The DragonForce bassist and ex-Slipknot drummer are uniting for Sinsaenum’s first tour. On paper, Joey Jordison and Frédéric Leclercq are two metal musicians that couldn’t be more different. While Joey rose to the rank of rock ‘n’ roll heroism as the drummer and principal songwriter in the game-changing nu metal troupe Slipknot, Frédéric was earning his keep with the far more peppy and whimsical power metal of DragonForce. Both musically and literally, they are men from different hemispheres, yet the duo have found common ground in Sinsaenum. A blackened death metal supergroup reminiscent of the dulcet sounds of Vader and Behemoth, the six-piece may have released two full albums and two EPs since their formation in 2016, but are yet to grace live crowds with their riff- and growl-fuelled mania. Luckily, that is set to change over the next two months, as Joey, Frédéric and their co-conspirators (who emanate from such brutal favourites as Mayhem and Dååth) will be storming stages all over Europe and Australia to support their latest record, Repulsion for Humanity. 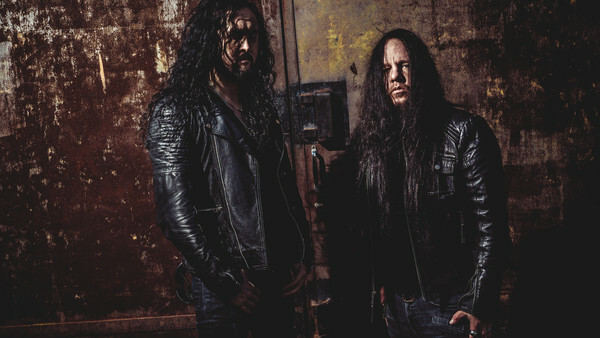 As they prepare for their first-ever tour with Sinsaenum in their rehearsal studio in France, I got to sit down with the two heavy heroes to chat about death metal, the trials of starting a new band from scratch and their continuing work in their other projects, DragonForce and Vimic. Repulsion for Humanity is out now via earMUSIC. Sinsaenum tour Europe and Australia from September to November. They play their first UK show at The Dome, London, on 19th October.